So highlighting 10 for $10 gift ideas for back-to-school isn’t exactly new. But it’s one of the few back to class posts I write on an annual basis, so here you go – 10 treats to make that September transition a little easier. Really, the entire line of Poppin stuff is sure to liven up any dreary desk. 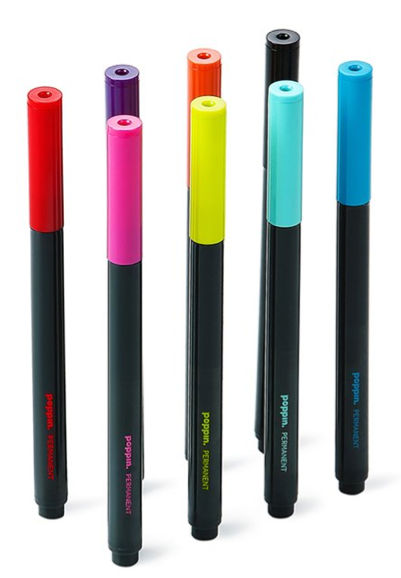 These colourful markers are great for getting crafty or labeling all of your other school gear. Sturdy paper has even sturdier magnets embedded within for these ultra chic locker organizers (including a fun mirror and whiteboard). Pretty pink stripes not your thing? They come in a variety of designs! Make lunchtime a fun time with these super cute and easy-to-use sandwich cutters. Available in eight different shapes – from a football to a kitty. Jot down everything from the kids’ activities to the grocery list to tonight’s homework on this cheery, vibrant notepad. It’s oh so easy to colour coordinate your desktop when you shop at Bouclair. Pick a scheme and be sure to spice it up with one of their many matching pencil cups. Fun fact – Party City is a great source for erasers (given they also make cute party favours) at way cheap prices. 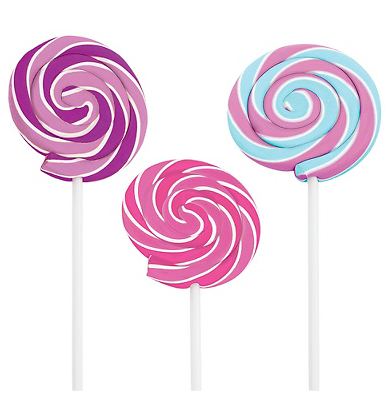 I adore these fun lollipop erasers – just make sure your kid doesn’t take a chomp out of one! Stash on-the-go snacks in these reusable, brightly patterned bags for quick and easy clean-up and total transportability. 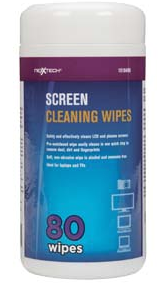 Keep your laptop, tablet or other device sparkling clean with these anti-bacterial wipes. A must-have if you’re also buying your kiddo a new piece of tech this fall. Bonus entry into this month’s Find of the Month giveaway for Eaune Skincare – tell me in the comments below, which of these back to class gift ideas would you snap up? For who? I’d grab the Screen Cleaning Wipes for the whole family. I love the pencil cups. I’m always looking for a pen or pencil. With these cups they’d always be handy and ready for use by anyone in the household. I would pick up some pencil cups for myself! 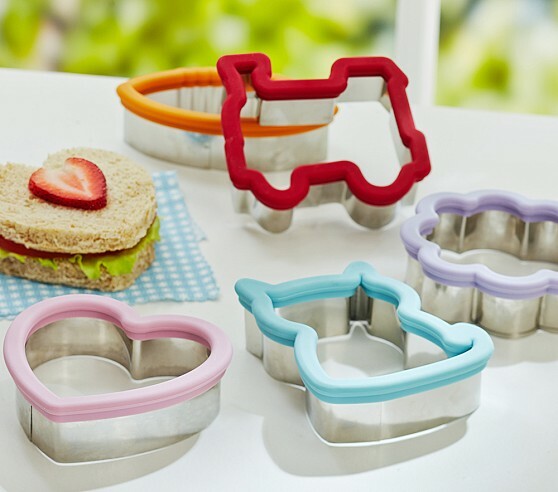 My niece would love the sandwich cutters, in the kitty shape of course! I’m going to get some of those screen cleaning wipes for myself. My niece would love the Kikkerland usb hubdog! 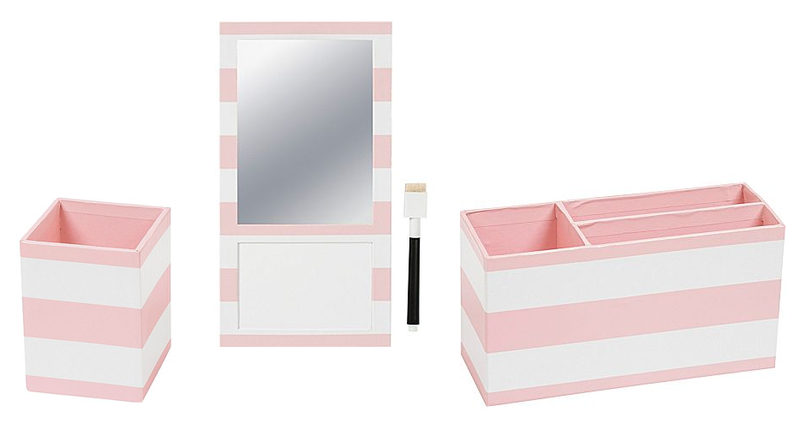 Eaune Skincare bonus entry: of these back to class gift ideas I would snap up the “Kikkerland USB Hub Dog – $5.99 @ Bed, Bath & Beyond” for myself. I’d be the envy of my work environment! I’d pick the RuMe baggies, for me and for others. I think they’d be great for discouraging people from using plastic bags, and for me they’d mean fewer clunky containers. My niece would love the pencil cups. 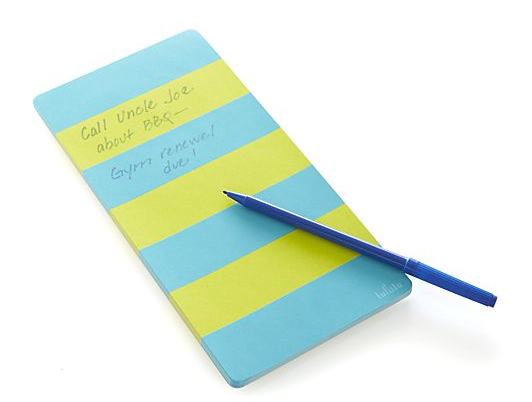 I’d grab the Turquoise Rugby Stripe Notepad for myself! 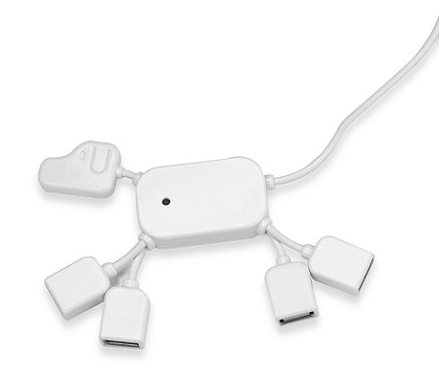 Kikkerland USB Hub Dog – $5.99 @ Bed, Bath & Beyond. I would buy this for my Niece who is sharing a dorm room at University this year. 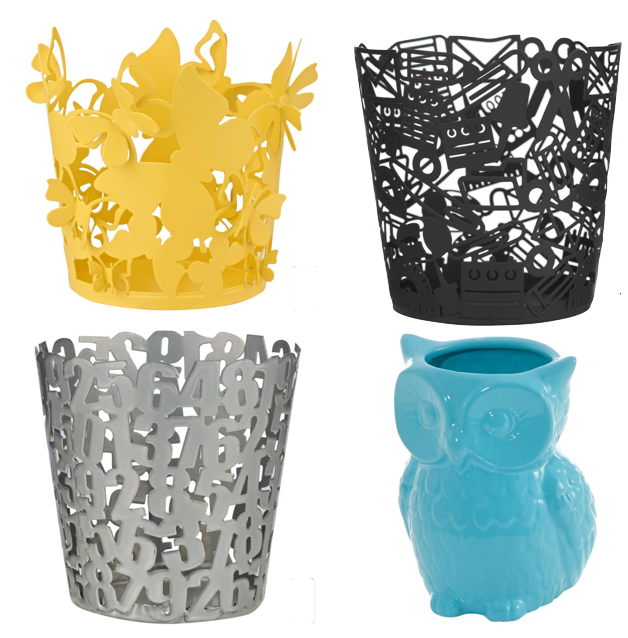 I’d love the turqoise owl pencil cup for me .